Assigning a master folio to a guest is one way to easily separate Room Charge and Tax from incidentals, like phone calls and restaurant charges. While this can be easily accomplished by using a Split Folio, there are several reasons you would prefer to do this with a master folio. A group where all Room Charge and Tax will be paid on one bill. Individuals that will be paid for by someone else, but not necessarily in a group. Corporate guests when you want a single bill for all of this company's guests but you don't want to use Direct Bill. Before assigning a master folio to a guest, you have to create it, first. When creating a Group, you have the option of automatically creating a master folio. Once you have the master folio, you are ready to assign it to a guest or a group. 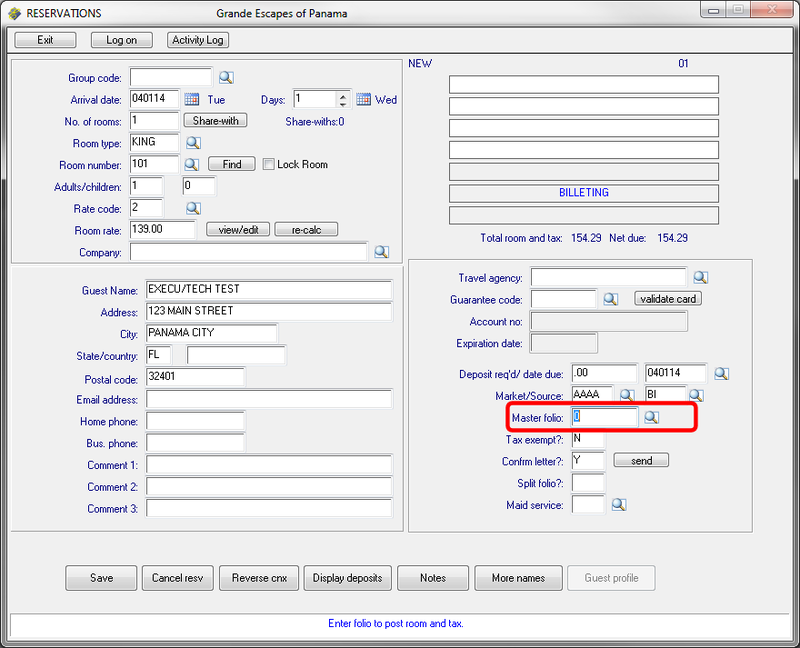 When checking in the guest, enter the master folio number in the "Master folio" field. When making a reservation, enter the master folio number in the "Master folio" field. 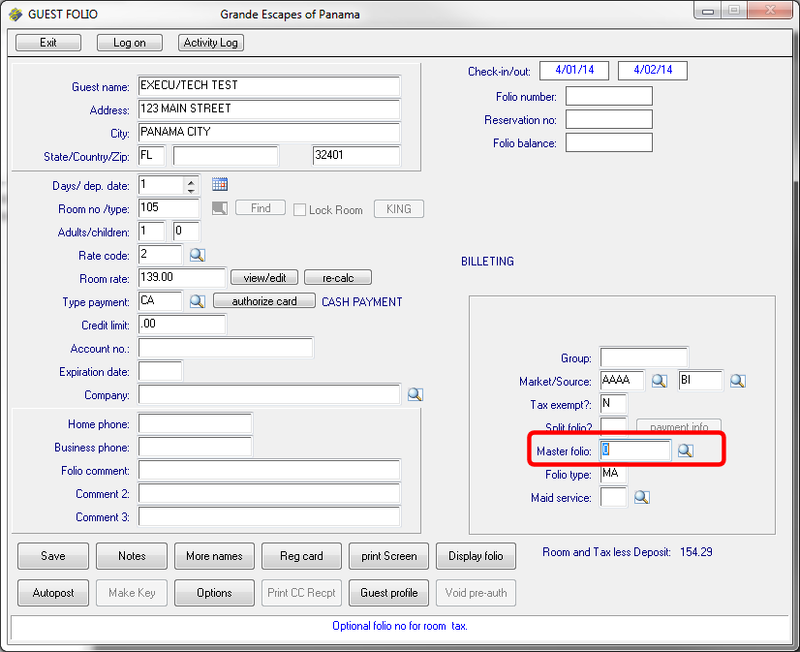 When making a the group, enter the master folio number in the "Master folio" field. 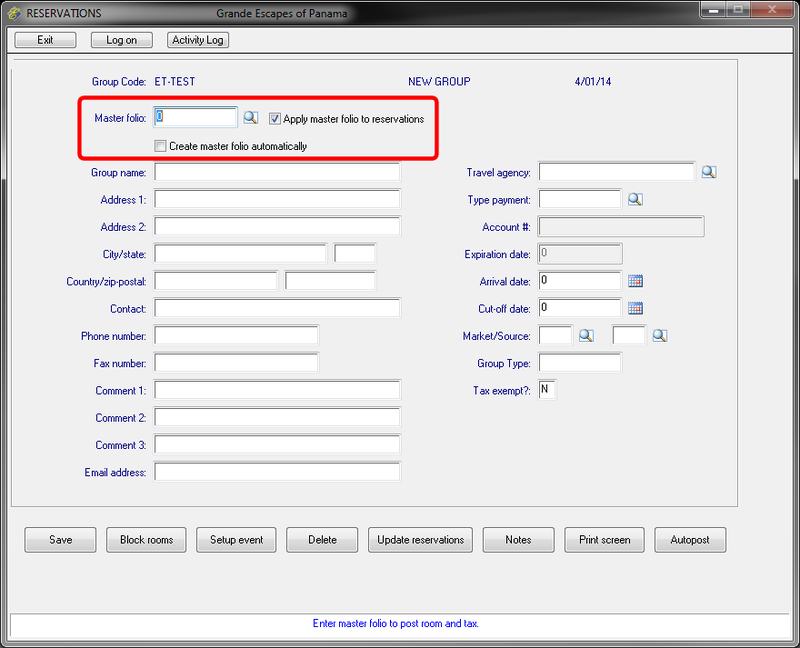 You can also check the box to have a master folio automatically created. To automatically apply this master folio to each reservation in the group, be sure to check the box "Apply master folio to reservations." After checking this box, each reservation that you assign to this group will also have this master folio assigned to it.